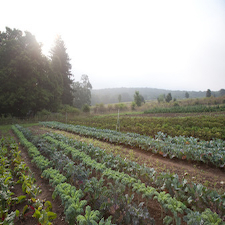 As a way to connect our community to the places where their food is grown, we engage visitors with on-farm experiences that illustrate the potential for a viable and sustainable food system. Glynwood is proud to offer a "Pay what you can" model for all our public programs. If you can, paying more than the listed amount for these programs, helps support our work to transition to a healthier, more resilient and more just regional food system. 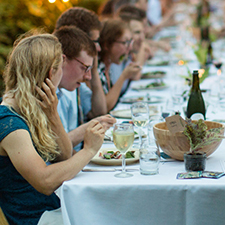 Our iconic Farm Dinners are collaborations with mission-aligned chefs who serve meals that are emblematic of the Hudson Valley, using fresh ingredients from Glynwood and other regional farms and food producers. We host a ticketed event every month (September and December excluded). 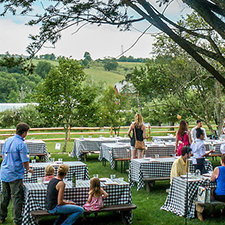 These intimate gatherings showcase culinary talent who are fully invested in seeing our region thrive, and who consider food to be an integral part of that effort. Signature Farm Tours: Come learn the history of our property, tour our farm operations, and learn about our current work. Family Farm Tours: These special tours are led by a dedicated environmental educator for children and their caregivers. Groups of up to 25 school-aged guests may reserve a tour. Self-guided tours: Visitors are welcome to take a self-guided tour during Farm Store hours. Free maps are provided at our office and farm store. Food & Farm Explorations: we further educate adults on farm and backyard skills, each beginning with a guided tour. Backyard Family Farm Skills: our family-friendly skills workshops begin with a family farm tour that is modified for the content of the workshop that follows. 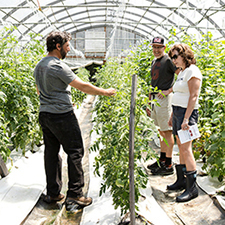 Farm with your Farmer: participants join Glynwood's Vegetable Production Manager for a hands-on morning in the field. Free to attend. New this year, Glynwood invites visitors to picnic on our front lawn on select Saturdays during the warm summer months. Bring your basket, blanket and friends; we’ll provide tables, bathrooms, zero waste disposal and, of course, the scenery. Nibbles and beverages are available for sale in our Farm Store until 1pm (when it closes), as are free self-guided tour maps. 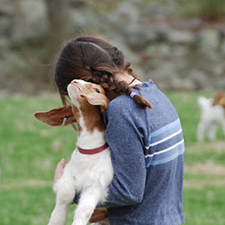 Our largest annual event, Food & Farm Day celebrates everything that is awesome about being on a farm: the food, the people, the landscape and, or course, the animals. Tastings, tours, demonstrations and workshops for all ages are scheduled throughout the day. Food, beverages and pantry items are for sale at the Food & Farm Day Marketplace and in our Farm Store. Free to attend. We host a number of workshops throughout the year tailored specifically for regional farmers and farm apprentices.